Dutchman Dyro entered DJ Mag’s Top 100 at the entry position of #30 and claimed the feat of the youngest, highest new entry throughout the history of the poll. Now he gets set to launch his new label, WOLV and readying the foundations for its debut, the self-titled single from the young head of the imprint is set for release come 11 August. Looking back over the past 12 months, Dyro’s tour schedule has included headline appearances at clubs such as Liv in Miami, Ministry of Sound in London, The Light in Las Vegas, Privilege and Space in Ibiza, whilst earning main stage slots at festivals including EDC Las Vegas, Mysteryland, Dance Valley, Tomorrowland and New York’s Electric Zoo. Add to this his releases on Hardwell’s Revealed Recordings imprint, a label and family that Dyro will continue to be part of and release on, and it’s easy to understand why artists such as Tiësto, Laidback Luke and Dada Life all back the young Dutchman. 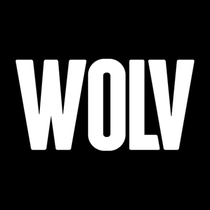 Check ‘WOLV’ out below.